Chocolate has become one of the most popular food types and flavours in the world and features in a large variety of foodstuffs. In our view eating something that you enjoy and makes you feel happy has to be a good thing but just follow the golden rule “everything in moderation” and choose the best quality produce. 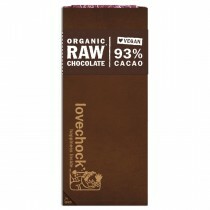 We even have a range of dairy free chocolate which tastes every bit as good as the real thing!